To pay tribute to these sporting legends, at Slazenger Heritage we decided to extend the Slazenger golf jumpers “Legend” series to include a number of limited edition colours, paying tribute to each of the legendary figures who wore them. Just like the original “Legend” Slazenger golf jumpers that was created to commemorate the 50th anniversary of “Goldfinger”, each garment in the “Legend” series has been beautifully crafted from the finest Merino wool and carries the authentic period logo that was first seen in 1963. Exclusively available through Anthony Sinclair, the Slazenger “Legends” v-neck sweaters arrive packaged in a magnificent presentation box, making it the perfect gift for Bond fans, golfers, and clothing aficionados alike. 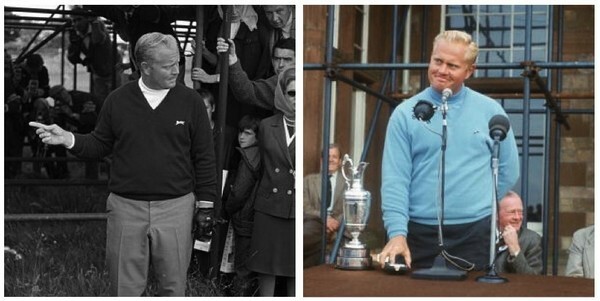 For example, during the 1966 Open in Muirfield, golfing legend Jack Nicklaus wore a black Slazenger golf jumper during the early rounds of the tournament, switching to sky-blue golf jumper on the final day as he went on to win the famous Claret Jug trophy. The panther logo would continue to appear on the v-neck sweaters of Open winners in subsequent years. 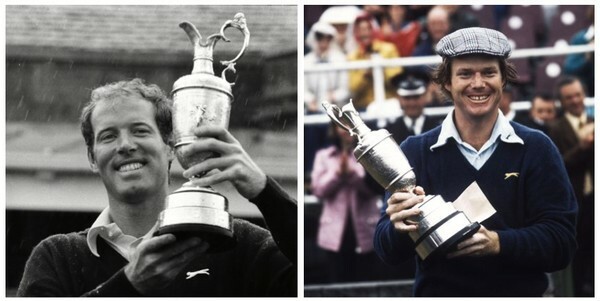 In 1973, Tom Weiskopf was victorious at Royal Troon whilst wearing a charcoal Slazenger, followed in 1975 by Tom Watson at Carnoustie, who wore mid-blue Slazenger v-neck. 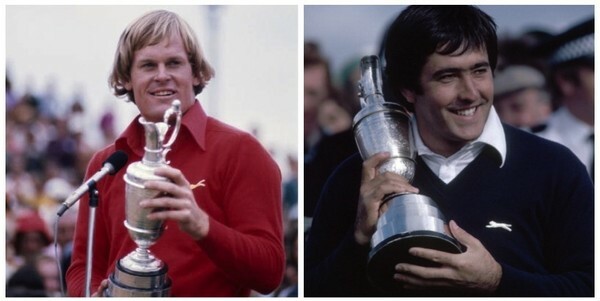 A year later, Johnny Miller, wearing a red Slazenger golf jumper, collected the winning prize at Royal Birkdale, ahead of the joint second placed Jack Nicklaus and a nineteen-year-old Spanish boy called Seve Ballesteros. Ballesteros would return in 1979 to raise the Claret Jug at Royal Lytham, wearing the renowned navy-blue version of the fabled Slazenger v-neck.